The best 12-String acoustic guitars in 2019: reviewed and rated! Guitar players looking for the best 12-string guitar need look no further. We’ve picked out the most highly recommended acoustic 12-string models any musician would be thrilled about. We considered the quality of the materials used in the guitar as well as the sound output, playability, value for money and overall instrument quality. Why would anyone want to play a 12-string acoustic guitar? Well, it can add a bright, shimmery jangle to songs. The acoustic sound is potentially fuller, more robust and with a greater impact. A 12-string guitar looks, feels and sounds great, so which one is for you? Taylor 150e Many of the best-selling acoustic guitars in the world are made by Taylor, and the 150e is definitely one of them. This 12-string acoustic has a classic dreadnought body and boasts a solid Sitka spruce top and layered walnut back and sides so you can expect plenty of low-end projection to balance out the shimmer from all 12 strings. Yamaha FG820 The Yamaha FG820 is a favorite among musicians not only because of its affordable price but also because of its quality tone. The FG820 makes it easy for beginners to pick up a 12-string acoustic guitar and enjoy everything it has to offer. 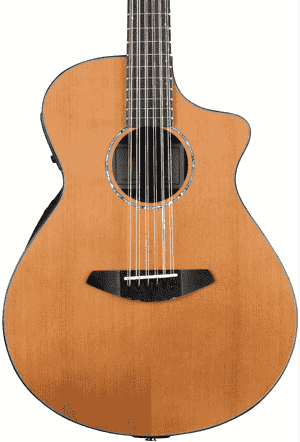 This 12-string acoustic has a solid Sitka spruce top, a rosewood fingerboard and mahogany back and sides. 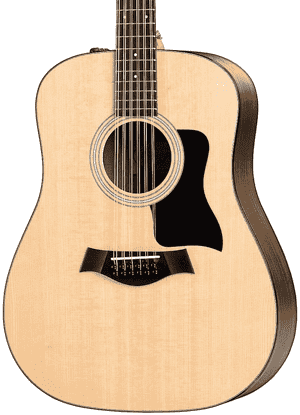 Martin D12X1AE Most of the 12-string acoustics in Martin’s catalog are dreadnoughts, like the Martin D12X1AE. Like the other models in the X Series, the D12X1AE is constructed from sustainably sourced materials, making the guitar more affordable and environmentally friendly. The sound is nothing to scoff about, either: it sounds as good as a Martin should. The onboard electronics is a plus. Epiphone DR-212 The Epiphone DR-212 wins in affordability without sacrificing sound quality. 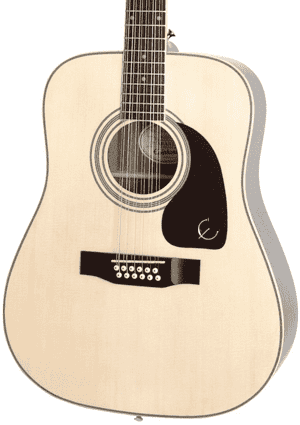 Epiphone’s 12-string offering is a traditional dreadnought with a mahogany body and a select spruce top. With an easy-to-play 1.75-inch nut width, the DR-212 is an ideal acoustic for beginners on a modest budget. It’s amazing how Epiphone manages to offer pocket-friendly guitars - we thank the company for it. Breedlove Solo Concert Coming up last but not the least in our list of best 12-string guitars is the Solo Concert from Breedlove. Designed for singer-songwriters, the Breedlove Solo Concert acoustic 12-string guitar features a unique side soundhole, which projects the sound toward your ear directly so you can hear yourself more clearly. It also has L.R. Baggs electronics on board. The Taylor 150e 12-string guitar is an acoustic with electronics built in so you can easily amplify your sound when needed. This model sports a classic dreadnought body, projecting a strong low-end response that provides a good balance with the bright and crisp shimmer from the strings. The 150e has a sapele neck and a solid Sitka spruce top, which is paired with layered walnut back and sides. The layered walnut, with its middle core of poplar, gives strength, resilience and durability to the guitar. Sound-wise, it provides an impressive midrange presence with just the right touch of high-end sparkle to please the ears. The crisp treble and robust high-midrange delivered by the ebony fingerboard add to the beauty of the Taylor 150e’s tone. Guitar players, strummers and flatpickers in particular, will enjoy the Taylor 150e’s broad dynamic range, complemented by the crystal-clear articulation you can expect from all Taylor guitars. Other features of the Taylor 150e include a 1.875-inch nut width, a Tusq nut and Micarta saddle, die-cast chrome mini tuners, black binding, a three-ring rosette and the Taylor Expression System 2 pickup for an easy plug-and-play experience in amplified settings. The Yamaha FG820 comes in several configurations and for this list, we’re putting the spotlight on the 12-string acoustic version. Part of Yamaha’s beginner-friendly FG 800 series of guitars, the FG820 is something you’ll be glad to have as your starter or next guitar. It’s affordably priced and is built so well it feels like a more expensive guitar. The Yamaha FG820 12-guitar, like other models in the 800 Series, boasts a stronger and louder sound in the low- to mid-ranges thanks to a scientifically developed bracing design. The bracing keeps the top of the guitar durable while bringing out more of the instrument’s natural acoustic sound. The Yamaha FG820 features a solid Sitka spruce top, a rosewood fingerboard and bridge, a nato neck and mahogany back and sides. The nut measures 1.8125 inches wide, giving enough space for all of the strings while still making it easy for players to fret chords. This 12-string guitar model is available in a number of color options: Natural, Black, Brown Sunburst, Sunset Blue and Autumn Burst. If you’ve got a little more cash to spare, it’s worth getting the guitar bundle that includes an accessory kit and a hard case. We appreciate what Martin has done for guitar enthusiasts with the X Series, which the D12X1AE is part of. The booming guitar industry has put many natural resources, particularly endangered and rare wood species, at risk of being extinct. To preserve these natural resources, Martin chose to use sustainably sourced materials in its guitars without sacrificing build and sound quality. For guitarists, this means more affordable Martin guitars, and heaven knows we want more of those! The back and sides of the Martin D12X1AE are made of patented mahogany-grained high-pressure laminate (HPL). The neck is rust birch laminate and the fingerboard is made of Richlite. Laminates and Richlite are just a some of the eco-friendly materials that Martin uses. The HPL is paired with a solid Sitka spruce top for a powerful and rich tone. There is plenty of vintage warmth in this 12-string beauty. The Martin D12X1AE has a 1.875-inch nut to accommodate the extra strings, so it’s a little wider than that of a six-string guitar. Nothing drastic, just takes some getting used to. This 12-string guitar is equipped with Fishman Sonitone electronics that does the job well. It’s not surprising to find another fantastic 12-string guitar with a dreadnought body. The dreadnought body just works to bring out that beautiful shimmery sound and jangly tone. A dreadnought shape and 12 strings usually equate to a high price tag, but that’s not the case with the Epiphone DR-212, perhaps the most highly rated 12-string acoustic in the below-$300 price range. Great for beginners and players of modest means, the DR-212 has all the qualities you need in a 12-string guitar: a sturdy build, an impressive sound and a comfortable, easy-to-play feel with its 1.75-inch nut width. The Epiphone DR-212 12-string acoustic features a select spruce top and mahogany back and sides. The crispness from the spruce is nicely paired with the deep, warm tone that the mahogany body contributes. The mahogany neck also helps in bringing out more of the lower frequencies and adding resonance to the middle frequencies. The combination of tonewoods in the DR-212 gives you a good balance between a dark tone and a shimmery sound with lingering sustain. Other features of the Epiphone DR-212 include scalloped bracing, a smooth poplar composite fretboard with dot inlays, tasteful ivoroid binding and chrome hardware. Singer-songwriters, rejoice! Breedlove offers a 12-string guitar with an interesting feature you would love, something it calls the side monitor soundhole. Yes, the guitar has a hole on its side at the waist. What is it for? Well, it lets you hear exactly what you are playing and what the audience is hearing. Does it affect the resonance of the guitar? Not one bit. This second soundhole is there to aid in solo songwriting so you can hear each note clearly, but the guitar is also built to handle the rigors of recording and live performance with its built-in L.R. Baggs TCV pickup/preamp system. The Breedlove Solo Concert guitar has solid red cedar top, East Indian rosewood back and sides and a mahogany neck with a rosewood fretboard for a dark, woody and warm tone with a good balance throughout the full acoustic range. The nut width measures a slim 1.6875 inches so you can have a more comfortable time forming barre chords. It also has a softly curved cutaway for easy access to the upper frets. The Breedlove Solo Concert 12-string acoustic also has a pinless rosewood bridge and an onboard tuner. If you’re a guitar player (or want to become one) and would like to broaden your musical palette without straying too much from your instrument of choice, we highly recommend getting yourself a 12-string guitar. Guitars with 12 strings have a sonic quality that’s different from guitars with six strings. A 12-string acoustic guitar provides players with a great diversity of tonal expressions that range from dark and warm to crisp and bright. Twelve-string guitars have a very full sound with a distinct sparkle, a chorus effect that’s very pleasing to hear. A 12-string guitar makes for a great solo and rhythm instrument, so whether you’re mainly a strummer, flatpicker or fingerstyle player, you will definitely find 12-string guitars worthy of consideration. Is playing a 12-string guitar the same as playing a 6-string guitar? Yes because holding the guitar is the same, the shape is the same and the chords are the same. No because you’ll need to exert more force to fret chords because of the greater string tension. Plus you’ll have to make sure your accuracy is spot on for you to be able to hold down a string pair at the same time. It may feel awkward at first, but once you get used to it you will hardly feel the difference. Who should play 12-string guitars? There are no restrictions as to whom should play guitars with 12 strings. There’s a long-held belief that because it can be more challenging to fret chords on a 12-string guitar, it’s not for beginners. This is absolutely not true. 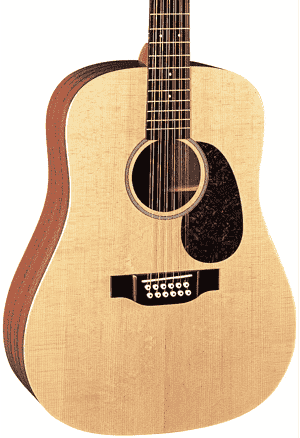 You can definitely pick up a 12-string acoustic as a beginner; many musicians have done so. Pain in the fingers is something all guitar players experience in one way or another. The secret is to not tense up when playing and to not push down too hard on the strings. 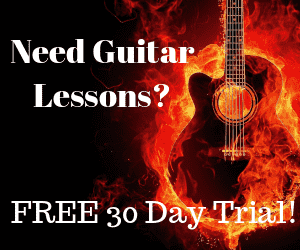 You will eventually be able to discover the right amount of pressure needed to properly fret chords on your guitar without it being a terribly painful ordeal. Twelve-string guitars are typically used as rhythm instruments but they also shine as solo instruments. This makes them ideal for players who would like to move up from a six-string model and work on their fingerstyle playing. 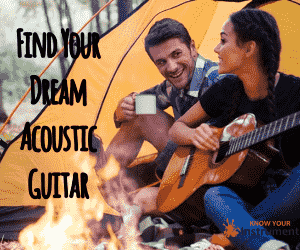 Many guitar players dream of having a successful solo career; challenging themselves by testing their fingerpicking skills on a 12-string is a great way to improve those skills. If you already play acoustic guitar, it would be good to have a 12-string model in your arsenal. You can easily adopt it, play the same chords yet get an entirely different sound out of it. It would expand your tonal repertoire without you having to learn something entirely new. 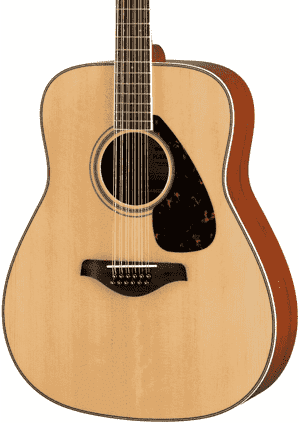 As with buying a six-string acoustic, choosing a 12-string guitar would depend on a number of factors such as purpose, tonewood preference and budget. Each factor is connected to another – for example, if you’re looking for a guitar for professional use (recording and performing live), you probably want one with high-quality tonewoods. If so, you may need a larger budget than when you’re choosing a guitar for practicing at home. A practice guitar may also have lesser-quality tonewoods and materials. So before you buy a 12-string acoustic, determine your needs and preferences as well as how much you’re willing to pay for it. Don’t forget to include other expenses such as accessories, cables (for acoustic-electric models), extra strings and guitar setups to the overall cost of the guitar. Make sure to do your research to see which guitar models have the specs and features you’re looking for. You can start with the models we’ve listed here – these are the best 12-string guitars from various price tiers, so there’s a good chance you’ll find what you’re looking for right here.